The Google Street View panel provides a way to easily upload a tour or single panoramas to Google Street View. 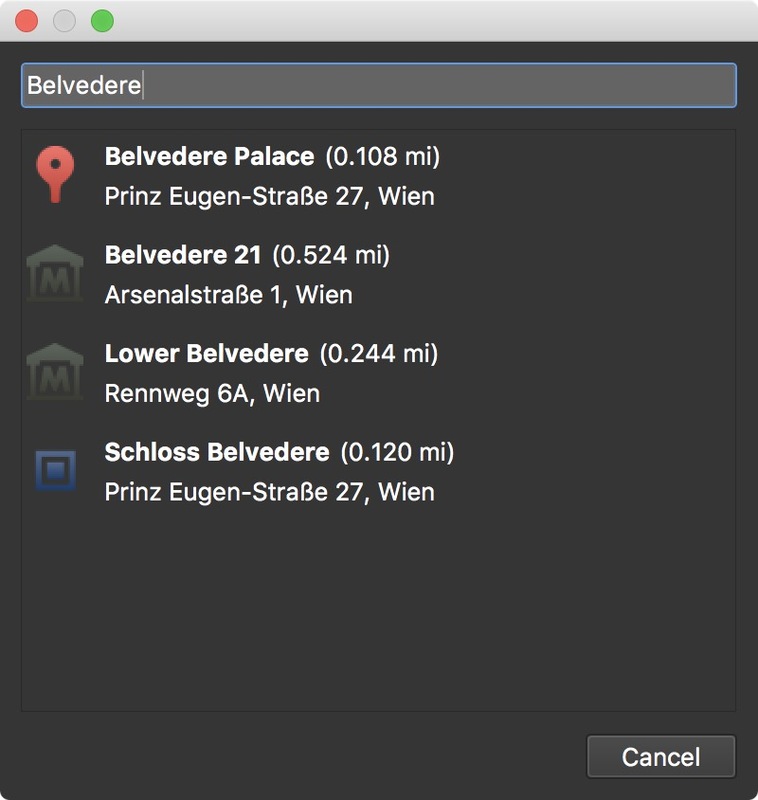 In the Google Street View Panel, you can connect to your Google account, browse your tours, upload tours and add places to panoramas. Click the green grant access button to connect a Google account. Once connected, you can get to your Street View profile by clicking the Open Account button. Use the red revoke access button to log out of an account. You can be logged in to multiple accounts at the same time. To add another account, just follow the same procedure as above. You can then switch between accounts using the menu. The Street View Browser gives you access to your uploaded images. You can also see views, when the images were uploaded and if a project has connections or not. In the Tour Node column, there will be symbols indicating the images status on Google. A green plug indicates all images are saved locally and match the ones online. A symbol with a warning sign indicates how many images do not have connections. You can also sort projects according to name, views, date, and node. Filter – Use the search box to filter your images, using text. Refresh – Refreshes the browser. Download – Choose to download an image or the entire project. In the browser, select an entire project, or click the disclosure triangle to open the project and select one or more images. Delete – Deletes an image or project from your Google account. To view the panorama or tour in Google Street View, double-click the panorama in the Street View Browser. For a tour, open the tour to expand the images and double-click on one of the tour nodes. Upload the project (entire tour) or remove it from Google Street View. This sections refers only to the currently selected panorama. Shows the current panorama’s online status. If you have not yet uploaded a project or image, your panel will look like the image below. The blue symbol indicates the current panorama has not yet been uploaded to Google Street View. 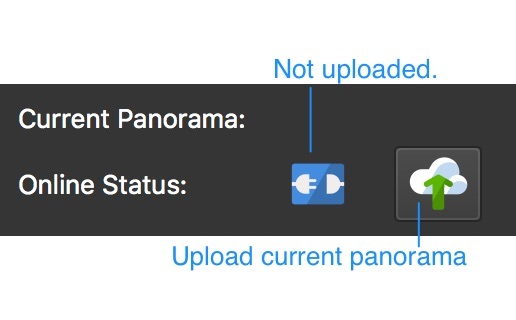 Click the button next to it to upload the current panorama. In the image below, the image’s status is Online. Hover over the symbol to get information. Double-click the symbol to get the image’s PhotoID (PanoID). 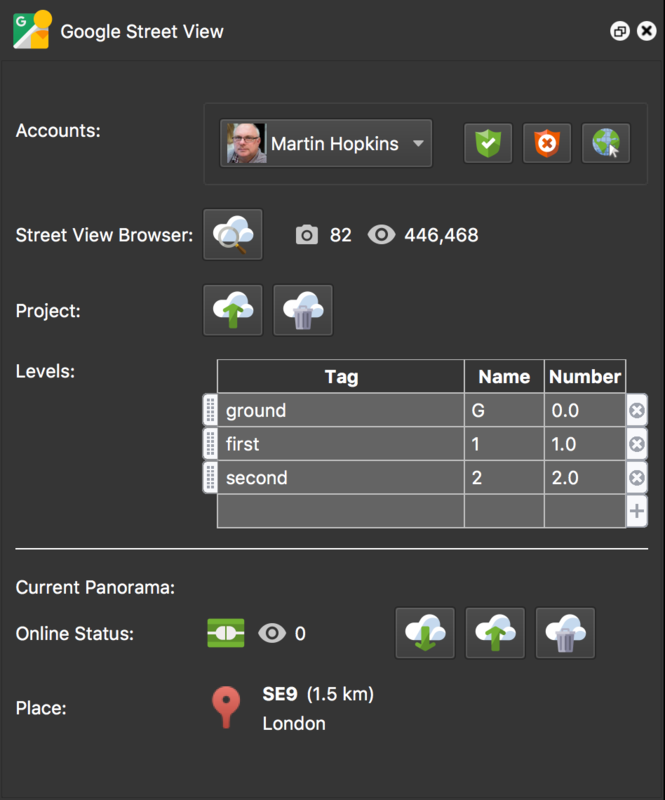 Update Current Panorama - Click to update the current panorama’s metadata. This will download the metadata that is currently stored in Street View and will add it to Pano2VR. Upload Current Panorama - Click up upload the current panorama’s metadata. 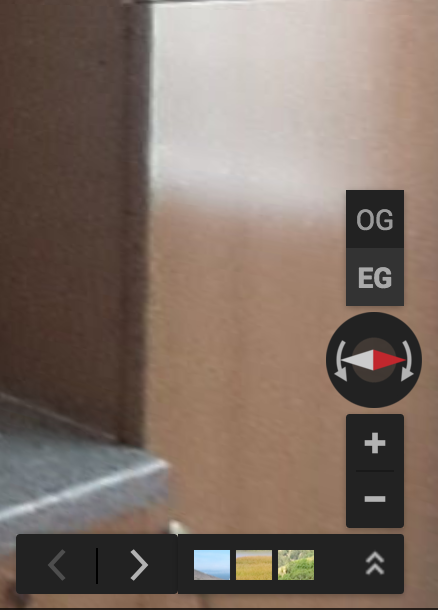 Remove Current Panorama - Click to remove the current panorama from Street View. Open Panorama in Browser - Opens the current panorama in Street View in a browser. Adds a Place ID to the current panorama. Click the Add Place button to open a dialog to choose a place, or to search for one to add. Select the place to add. Click the Pick Place from Google Maps button to find a place in the Tour Map and Google Maps. This will open the Tour Map with Google Maps. Edit - Click to edit the place. Remove - Click to remove the place. Copy - Click to copy the place to all nodes. View - Click to view the place on Google Maps.